BOOK NEWS: 'PROMETHEUS: THE ART OF THE FILM' Now Available for Pre-Order Online! Forbidden Planet have now made available pre-orders for Prometheus: Art of the Film. The book officially hits shelves this June 10th & features extensive production design, concept art & behind the scenes photos from Ridley Scott's epic return to sci-fi. Forbidden Planet have priced the book at £19.99 /$31 with an RRP of £24.99 /$40. Amazon are also set to release the book June 5th in hardback for $34.95 & a limited edition $75. Also listed as a seller Barnes & Noble are taking pre-orders for the hardback edition at the cheaper cost of $19.75 with a shipping date of June 8th 2012. Hit the jump for the details. Written by Mark Salisbury the description of the limited edition version of Prometheus: Art of the Film says: 'Hardback in slipcase', while the regular hardback will be 'Hardback with Dustjacket'. Book Synopsis: "The most eagerly awaited film of 2012 - Ridley Scott returns to sci-fi for the first time since Blade Runner! Visionary filmmaker Ridley Scott (Alien, Blade Runner) returns to the genre he helped define, creating an original science fiction epic set in the most dangerous corners of the universe. Produced with the full co-operation of the filmmakers, this lavish book, showcasing stunning production design art and behind the scenes photos, will be the only tie-in publishing to this eagerly awaited film." 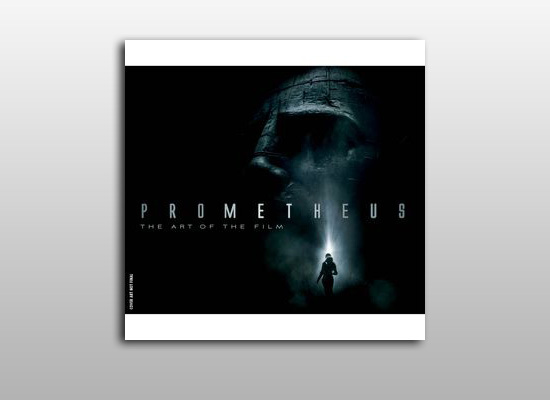 I'm reading: BOOK NEWS: 'PROMETHEUS: THE ART OF THE FILM' Now Available for Pre-Order Online!Tweet this!